Social Media platforms could be the most powerful form of marketing for online merchants. That’s because they have the ability to direct the shoppers towards products, attractive deals, engage with the audience and create a sense of community. Having a social media presence also means having the ability to make direct sales thanks to these platforms. It may be difficult to measure the concrete returns to these indirect aspects of social media use, for example, the return you get for engaging in conversation with your followers and answering their queries is not quantifiable. However, it’s a fact that it will help you build your brand, loyalty, and a sense of community. When it comes to dealing with issues related to customer care, your interaction on social media is especially important in retaining customers and demonstrating your commitment to resolving any problems. All of the social media platforms - Twitter, Facebook, Pinterest – allow for great promotion opportunities. If you are a seller, you can recreate your entire eBay or Amazon shop right on Facebook, which, for example, offers latest eBay deals directly on its site. Nike, on the other hand, rarely pushes promotions through its social media pages but still does wonders in terms of customer engagement and participation. 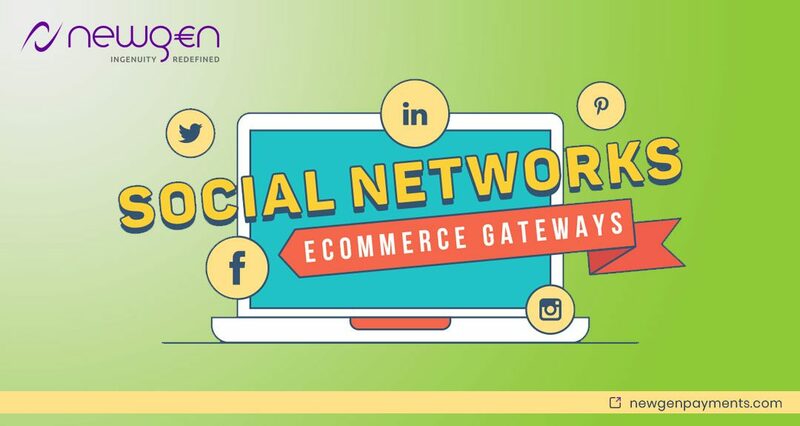 Using Newgen Payments’ “Sell on Social Media Platform” feature, merchants can not only sell their products directly on Facebook, Instagram, Pinterest, etc. without their customers leaving the platform, but they can also track the analytics behind those sales in detail. You can also take and share some aesthetically pleasing photos on Instagram and engage with your audience there. Or you could talk about your products on Twitter and have your buyers make a purchase directly. The opportunities are endless and it’s up to you to take advantage of them. To learn more about this, take a look at the infographic below.